Ever one to leave things to the last minute, I ended up having a maternity photo shoot 39 weeks and 2 days into my pregnancy… I’d met Samira when I was pregnant with my daughter Carly, so when I was looking into newborn photographers I instantly looked her up to find that Samira has recently joined forces with her friend Rachel to create Hey Little You Studios. The official launch came only a day after Benjamin was born and the company offer stunning photography in a beautiful studio setting based in Ferndown, Dorset. Luckily for me, Samira and Rachel were in the process of creating their launch video when I contacted them and I was a very willing guinea pig for some of their new maternity shoot props and outfits. I felt completely at ease in the female only studio and didn’t mind stripping off for the shoot to expose my bump. Samira was a pro at directing me during the shoot and Rachel’s creativity shone through (she put together the beautiful swing set ready for the shoot). I couldn’t be happier with the photos, which capture my very pregnant bump perfectly. For anyone on the fence about having a maternity shoot I would definitely recommend it. I wasn’t sure whether to go for it or not but I’m so glad I did. Pregnancy can be a struggle, it can seem to last forever, but when it’s over you will have beautiful photos to look back on and show your baby when they’re old enough to understand. 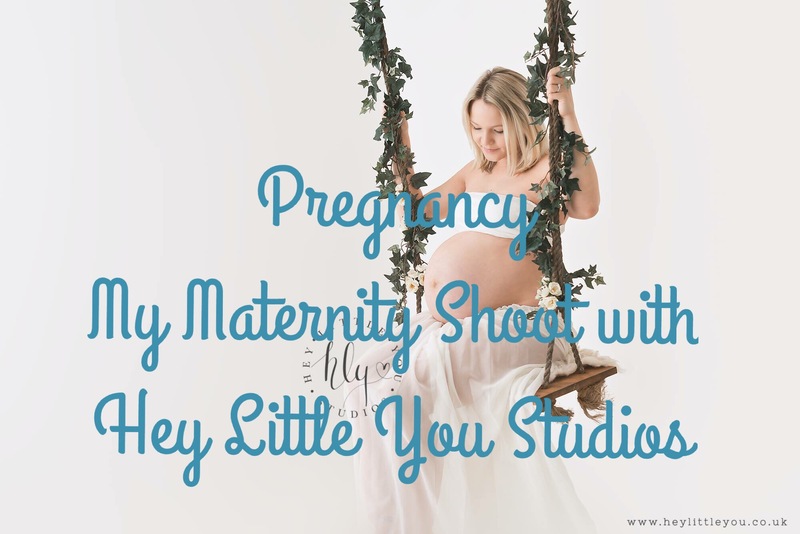 Hey Little You Studios also offer newborn photo shoots and the ever popular cake smash shoots. Make sure you check out their website here and Facebook page here. Hey Little You Studios offered this shoot complimentary for the purpose of review, however all views are entirely my own.